I woke up with the strangest prayer request on my lips today. “God, I pray You’re not who I think You are.” Before I could rightly wrap my mind around what the Spirit spoke through me, my next request was, “God, I don’t want You to be who I want You to be.” I don’t want God to be the small God I keep expecting Him to be, to do just the small things I keep expecting Him to do. I don’t want to keep thinking of God in the same small ways I’ve been thinking of Him. For example, I remember hearing a tinkering noise while driving our SUV not too long ago and whispering a prayer, “God, please just let our truck last… … … and help me to stop praying DUMB prayers like this one!” The Word says we have not because we ask not, but the follow up of that passage is that EVEN when we ask, we ask amiss. That means that EVEN when I ask, my own self-focus gets in the way of me making requests in alignment with God’s will (James 4:2-3). 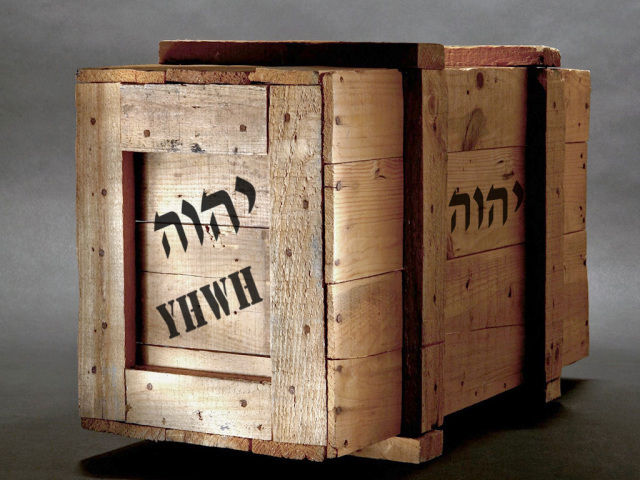 Lately, God has been prompting me to ask Him to break my box, that little, tiny mould I keep trying to fit Him into, that little, tiny God I think He is. I keep finding myself rebuking the line of thinking that tries to understand who God is and what His plans are. I believe I have a greater need to desire God than to deconstruct God. Each time I try to define Him, I instead confine Him to that little, tiny box. All I need to understand about God is that He is above. His thoughts and ways? ABOVE (Isaiah 55:8-9). In fact, He’s exceedingly, abundantly above. God is so much bigger than my thoughts or the space that stores them. I recently enjoyed a blog post on whether we should “Ask or Thank” God when approaching His throne. The author approached God’s ability to do exceedingly, abundantly above what we could ask or think (Ephesians 3:20) with a phrasing I’ve never heard, but instantly appreciated. He essentially said that when we petition God, our requests are “exceedingly, abundantly” smaller than what God is eager to do for us. This gives reasonable support for why we should follow Jesus’ example when He petitioned the Father about raising Lazarus from the dead. He just thanked the Father for hearing Him and for what He’d already been doing; He thanked Him for being God (John 11:41-42). 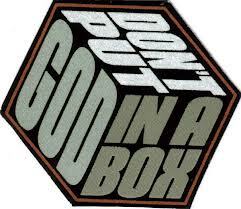 I thank God for not fitting into my box, and so that I don’t try to put Him there, again, I want Him to break it open. My wants are too small; my God is too big. Father, break my box.